Written by unknown before the closure of the Church (we believe to celebrate its 85th birthday). The first written record we have at Enmore dates from the 25th January 1913, in which it states that meetings were being held at 90 Stanmore Road, Stanmore, for some time prior to this. The meeting which was being held on that day for the sole intention of forming an organisation to “Propagate the Truth of Spiritualism”. It was decided that they form themselves into a spiritualist church. These are our the only written records to date to verify the time the Church began operating as a body. From all indications, the meetings held at 90 Stanmore Road had been going for quite some time, which indicates that the formation of an organisation. This could be almost a 100 years old in its historical sense and how fantastic it must seem to us all as we look back down the passage of a 100 years and try to imagine the vision of the pioneers who began it all, here at Stanmore-Enmore, how proud they would have been to see it still continuing today. Perhaps not always as they would have liked if to be, but none the less here we are today celebrating the foundations that they commenced so many years ago. This historical event was recorded in the minutes on the 25th January 1913 at a meeting held at 90 Stanmore Road, Stanmore for the intent and purpose of forming an organisation to “Propagate the Truth of Spiritualism” and it was agreed by those present to form a Spiritualist Church and proceeded to establish a Committee and elected its first President, a Mr Morrell. On the 8th February, 1913 the second meeting was held and it was agreed at this meeting that the Church be named “The Stanmore Spiritual Temple”. It was then that they elected the first four trustees to ensure the future of their organisation and established the first bank account and on the 1st March 1913 the first sub-committee was formed to raise funds for the purpose of buying a building to establish their Church foundations. In the first year the committee began to establish its Rules of Operation and the laying down of the Constitution began, over the years this has grown and altered many times, but the foundations and guidance remain the same to Propagate the Truth of Spiritualism. 7th January, 1917 the first principles were written into the minutes as objectives. It is recorded on the 5th July, 1913 at a Special Meeting that there would be one President, five Vice-Presidents, a Secretary, Treasurer, Librarian, three Trustees, four Sick Stewards which had to consist of two ladies and two gentlemen and sixteen Committee Members. On the 9th August 1913 it was voted that they use the National Spiritualist Hymn Book and the first membership fees were four shillings for ladies and eight shillings for gentlemen. From the very beginning the Committee tried to establish recognition of the Church through the Registrar General and The Chief Secretary as a Religious Body within the meaning of the Marriage Act of 1899 which would give them rights and privileges as other Religious Bodies. In October 1913 the Committee voted to have Mr Morrell Ordained as the Minister of the Stanmore Spiritualist Temple. Minutes 4th April 1914: It is noted that the Committee received the first letter which must have stated unacceptable conditions as the Committee refused to accept these, but they continued to pursue this path as there are many entries noted in the minutes and it is recorded that eventually the Church was registered and a Minister was Ordained in 1914, but unfortunately there are no entries that state when or how this took place and there are no letters to refer to. In 1915, members began to look at premises with the view of purchasing a property to lay the foundations of their organisation which had been steadily growing over the years. Without the continued efforts of the Committee and members who worked hard in raising funds to put towards the building fund (as there were very few donations from generous benefactors). According to the minutes they ran mostly social events, jumble sales etc and of course séances from different homes. There was one interesting entry of a Moonlight Cruise in January 1924 on a ferry that held 400 people with piano from 7pm ‘til – 11pm. The whole cruise cost them ₤11 to run – it’s difficult to imagine isn’t it. It took some time before the committee purchased the existing Church here today. The first property looked at was Stanmore Hall, Enmore Road, which then was valued at ₤1,170 and was not purchased as the bank refused to give them the loan they required Then another property in November 1923 was in Marion Street, Enmore for ₤700 which was unsuitable and rejected. Then recorded on the 15th December, 1923, 2 London Street, Enmore was viewed and accepted by the Committee as being an acceptable dwelling to purchase as a Church with some renovations to make it operational in which to hold their Church Services. A loan of ₤800 was eventually obtained through the assistance of a Mr Sharp, 107 Pitt Street, Sydney and the Rural Bank. This was after several refusals by the Commonwealth and State Savings Bank. 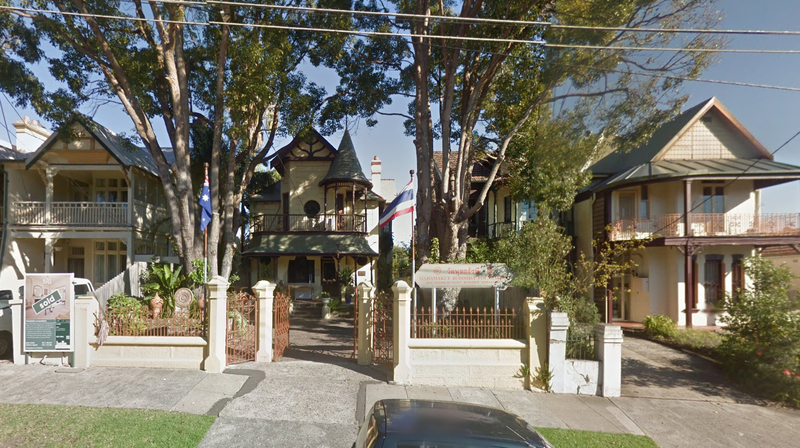 The property at 2 London Street, Enmore was purchased on the 1st March 1924 for ₤l, 200. The sale price was ₤1,300 as per the minutes. The name of the Church was again altered on the 22nd December 1923 to the United Spiritualist Church of Stanmore-Newtown. The Church name did alter a few times over the years depending upon who was in power. The name of the Church has been shortened to “The Enmore Spiritualist Church”. 90 Stanmore Road, the original address of Enmore Spiritualist Church, and then known as the Stanmore Spiritualist Temple. That site was used from the inception of the church in 1913 until 1923.